Chicago Youth Shakespeare [CYS] is a 501(c)3 nonprofit organization dedicated to putting Shakespeare’s timeless works into the hands of 21st-century teenagers. CYS provides innovative performances and educational outreach programs that connect young adults across Chicagoland with Shakespeare and with each other. ​We are committed to providing a safe space for young artists of all backgrounds, and to fostering a diverse community of creative and compassionate global citizens. Chicago Youth Shakespeare was established in 2013 by founder and Artistic Director, Manon Spadaro, a teacher with a vision to share the life-changing experience of learning Shakespeare through performance with teenagers beyond her classroom. CYS began with just four board members and a Youth Advisory Council made up of high school students dedicated to creating performance-based Shakespeare programs that would inspire, empower, and unite teenagers across the Chicagoland area. 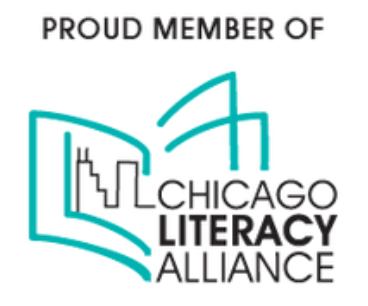 In less than 6 years, CYS programs have impacted over 7000 students from more than 60 different public, private, and parochial schools across the Chicago area. We've granted our student participants over $85,000 in need-based program scholarships, helped teens raise more than $4,000 to support arts programming in public schools, and we remain committed to bringing free Shakespeare performances and learning opportunities to hundreds of new students each year. At CYS, our approach to Shakespeare is uniquely active and collaborative, engaging young people with the texts and with each other in ways that are meaningful and lasting. In the rehearsal room, our young artists discover a place to develop their own curiosity-driven process, a place to try and fail, to trust and be trusted, and to find their own voice as part of a diverse, creative ensemble. ​In the classroom, our performance-based activities invite learners to step into the shoes of Shakespeare's characters, making each line of dialogue, each story, their own. Students learn to drive the creative process by working together, thinking outside the box, and exploring Shakespeare's stories and characters in ways that resonate most with them. “I have learned so much about Shakespeare and about myself—like finding the truth, being open to change, and taking risks. Diversity is a core value at Chicago Youth Shakespeare. We believe that fostering an inclusive environment is fundamental to learning, to art-making, and to building a more just and equitable world.